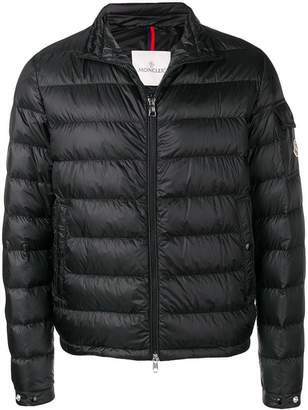 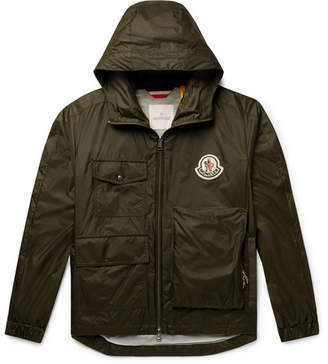 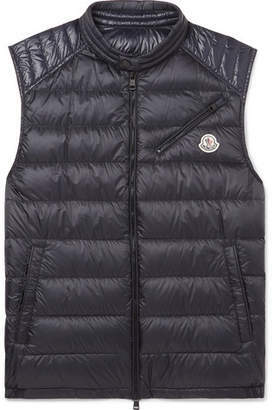 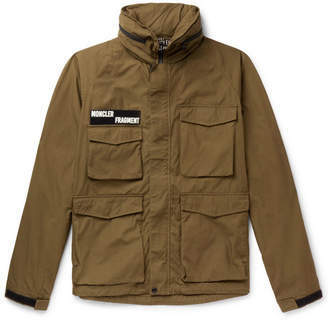 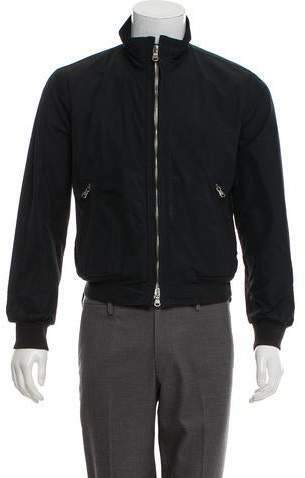 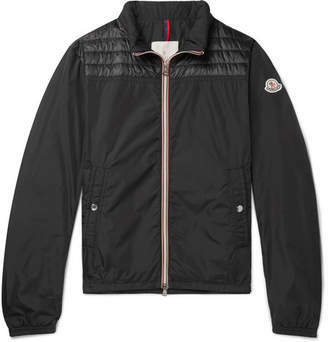 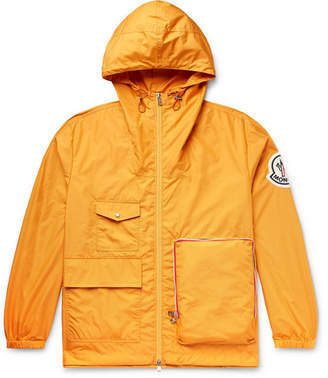 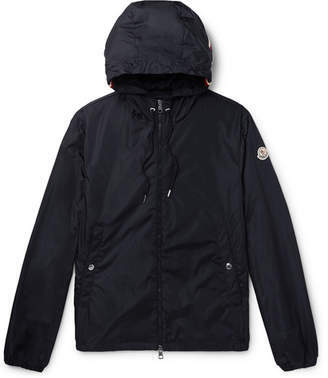 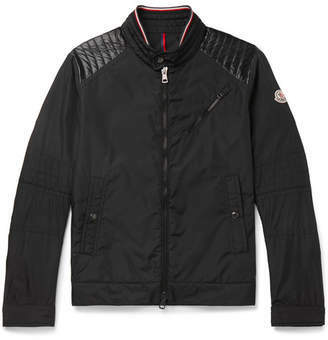 Men's navy Moncler Robin windbreaker with standing collar, dual zip pockets at front, deconstructed lining, single interior pocket and zip closure at center front. 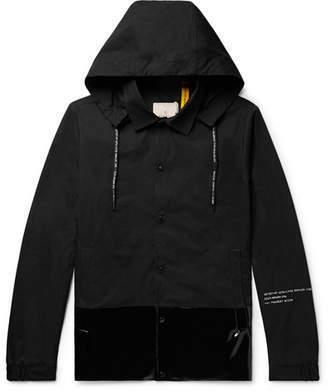 Designer size 2. 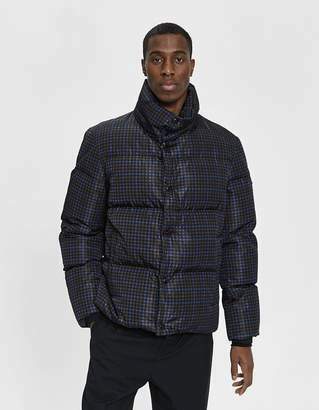 Fit: This style runs a full size small.